While throwing the ceremonial first pitch at the All Star Game, the president happily approached the plate awaiting to hear the cheers of the eager crowd. 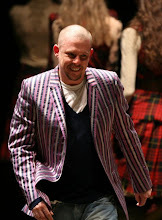 Though once there he received a mixed response of cheers, laughter, and gasps! Little to his knowledge he was labeled with wearing "MOM JEANS"! 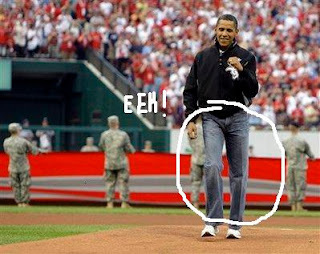 Our president with a gracious sense of humor just replied, "For people who want a president to look great in tight jeans, I'm sorry." 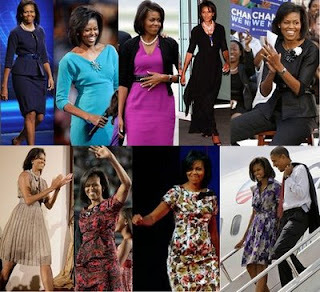 Perhaps he should take his fashion hits and tips from his first Lady. 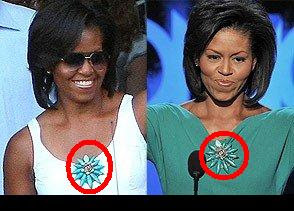 Mrs. Obama has been getting great attention even before the inauguration on her fashion sense. Now and then she is grieved with wearing the same thing twice, however I feel she is just teaching women everywhere sensibility and how to wear things several different ways. It's not frugal its FASHION!